Join our mailing list to receive the latest updates and to avoid disappointments! 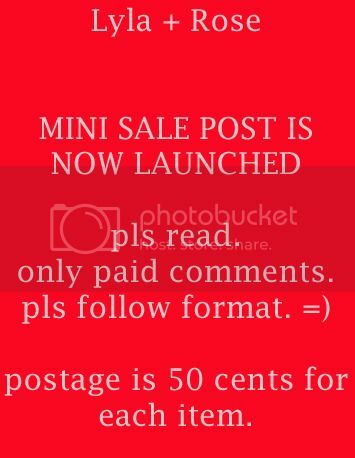 Just leave a comment with your name and email address. send your pictures,physical stats and facebook link to ruth_chua88@hotmail.com now ! SPECIALLY MANUFACTURED ITEMS ARE ON THE WAY. SEE YOU SOON IN A COUPLE OF MONTH'S TIME, MEANWHILE, CHECKBACK OFTEN FOR SMALL SNEAK PREVIEWS COMING SOON. please do not email any of the previous lylarose gmail accounts as they have been hacked into thus the long hiatus. NOTE: WE WILL NOT BE RESPONSIBLE FOR ANY LOST MAILS VIA NORMAL POSTAGE. PLEASE OPT FOR REG POSTAGE IF YOU WANT A SAFER OPTION. ALL MAILED. REG TRACKING NUMBERS UPDATED. please leave a comment with your email address and we will get to you. Please state the problem in the subject title. hi girls, as you girls have realised, livejournal is going through major changes with the comment system, thus we're unable to reply "mailed" to each comment. However, we do receive your comments so kindly refrain from emailing us directly regarding your orders unless you suspect we might have missed it out because you did not receive a reply after 48 hours. (13 April 2009 6.17pm )Hi dear girls, i have currently finished invoicing all at this time. As for verifying of payments, Ruth will get to it asap as she's currently overseas and will try her best to get internet access. LYLAROSE.PURCHASES@GMAIL.COM. 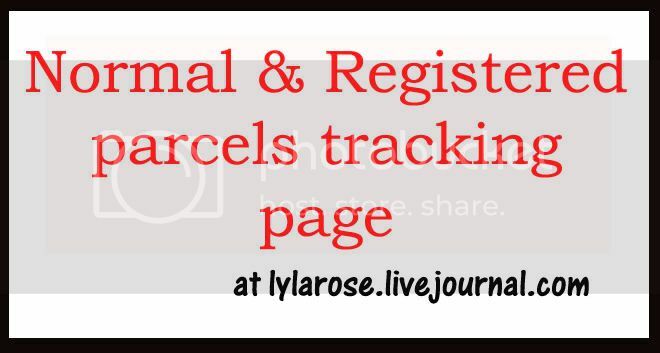 pls note that we are using this email account for this post as lylarose.x is cluttered with some unclear emails. Also, would appreciate if you girls follow the given format for commenting to ease efficiency. Confirmation would be given within 1-24 hours. 1. glittered cat tee,lace mesh dress in pink(these 2 designs are on backorders). PLS NOTE: ORDERS TO EMAILS DIRECTLY WILL NOT BE ENTERTAINED. WE GIVE PRIORITY TO COMMENTS. Also, please do not abuse the advantage of having our hp nos. Please leave a comment instead of messaging us , we will not take in any orders via sms. thank u for your understanding to this matter as we want to make it fair for everyone.